Located in stunning Sydney, The Rocks is a unique experience that is a must see and do for anyone visiting this area of Australia. Take a boat tour, climb the bridge, visit the observatory, or just grab a bite to eat and go for a stroll. The history of The Rocks can be traced as far back as the 1700s. Many historical places and buildings are located in this part of Sydney, like the site of a “moveable” hospital (1790) and oldest pub (Fortune of War - 1828). It is now one of the top tourist destinations in the area, drawing people from all over the continent and even the world to see this unique, fun, and historic area of the southern shore of Australia. · Cruises- Departing from The Rocks are multiple boat cruises and tour options for visitors to see the Sydney Harbor from this special vantage point. See the whales or just the scenery either alone or with a large group. · Bike tours- Another fun way to see the scenery is to take a bike tour. Led by experienced bike tour guides, these bikes tours lead both small and large groups through Sydney and point out different fun and interesting sites. Bikes are also available for rent for guests who would rather explore the city by bike on their own. · Bridgeclimb- Want to see Sydney from as high up as possible? Check out Bridgeclimb! Follow the trained climb guides up the bridge which ends up just over 130m above the Sydney Harbour. Bring comfortable shoes! Climbs can be taken at dawn (with limited availability), all day, at twilight, or even at night - the views are spectacular regardless! 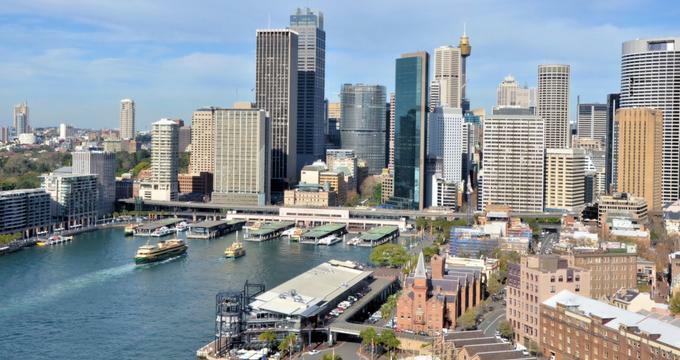 · Dawes Point- This historical park, located on the very northern point of The Rocks, allows for unprecedented and beautiful views across Sydney Cove. This area was originally used for its vantage point as a fortified position to protect the area from foreign invaders in 1788. · Paniq Room- For visitors who want more excitement while visiting, visit the Paniq Room. This unique experience challenges guest to escape a locked room while under a time limit. It is great to do with friends, family, and even coworkers as it forces everyone to work together to escape! Each challenge lasts an hour and must be reserved in advance. · Sydney Observatory- The southern Australian sky at night is unparalleled in its beauty, and what better place to see it than at the observatory. This building also functions as a museum, with a huge collection of telescopes and other astronomy related tools. It is offered free of charge and also includes a planetarium. · Discovery Museum- This family friendly museum is a great place for visitors with small children to come and learn about the history of The Rocks, starting in the pre-European age and progressing through the present. It features many interactive exhibits! The Rocks offers a huge variety of different special events all throughout the year. These events are updated regularly on their website, including cost, time, and additional information. There are many that are free to the general public. One of these events is Chinese New Year (which corresponds to the date on the calendar). This event starts in Chinatown and extends all the way down to Sydney Harbor. The festival at The Rocks is internationally renowned and is the third largest event hosted on an annual basis on the premises. It is a great, fun way to both celebrate and learn more about this fantastic part of Chinese cultural history and heritage. Throughout the year, there are many concerts and musical offerings (of all different genres of music), as well as food festivals, seasonal tour offerings, and family activities. Make sure to visit the website prior to a planned vacation to see what, if anything, may be going on during the visit. The Rocks is a well-known dining and shopping destination! While visiting, make sure to check out the dining options (from the casual to the full course like Altitude, a dining experience high above the Sydney skyline). Also stop by the many unique shops at The Rocks - which allow visitors to purchase anything from food and wine to clothing and art. A full listing of all available shopping opportunities is available on the website for The Rocks as well, so guests can plan ahead!